We’re hunting down as many Black Friday 2016 WordPress & other digital deals as we can for you guys. See a missing deal please let us and everyone else know about it in the comments below! This post will be updated as we find new deals, make sure to check back again later! Description: Addons for the WordPress Beaver Builder plugin. Description: WordPress social media post promoter plugin. Description: Customize admin columns in WordPress and edit them inline! Description: Creators of the Easy Digital Downloads plugin. Description: Creators of the Download Monitor, Related Posts for WordPress and Post Connector plugins. Description: Creators of the WP Migrate DB Pro and WP Offload S3 plugins for WordPress. Description: Soliloquy is a responsive WordPress slider plugin. Description: OptinMonster is a popup/lead capture form service. Description: Envira Gallery is a WordPress Gallery plugin. Description: WPForms is a WordPress Form Builder plugin. Description: ThirstyAffiliates is a WordPress affiliate link management plugin. Description: Beaver Builder is a drag and drop WordPress Page Builder plugin. Description: WP Engine is a premium hosting provider specializing in WordPress managed hosting. Description: Get 25% off new annual plans during HeyFlywheel’s Black Flyday sale. 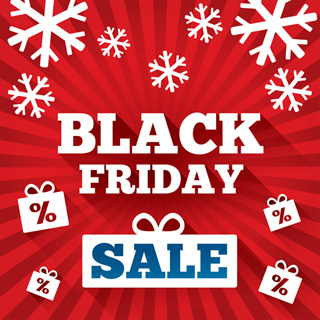 On BlackFriday, Elementor Pro Preorder will start off with 50% discount. Any room in the BF Deals list for a brand new, bootstrapped WordPress business? Optimocha (optimocha.com) is a tailored speed optimization service for WordPress-based websites. It includes one-time speed optimization jobs as well as monthly optimization & website maintenance services. Popup Maker for WP is getting in the action. We are offering a huge 35% discount on all new purchases of Popup Maker extensions, license renewals and upgrades! Use the code BFCM2016 at checkout! Would love to get our deals listed on your site. From today – November 23, 2016 – until Nov 29, all of our products will be discounted by 20%. One more great deal is offered by MotoPress: 15 offers with up to 90% off!